Here’s Starbucks You Are Here Ornament Greece which is a copy of the bigger mug, just smaller and with the string, which is one of the shades of green (the avocado or fern green). These are some elements from the mug: sun, mountains, olive tree, Temple of Apollo (Ancient Corinth). The last, but not the least is the amphora – Achilles slaying Penthesilea, signed by Exekias, c. 530 BCE. It is now stored in the British Museum, London. There were some speculations about Corfu store reopening and I kind of expected a Corfu YAH to come out. 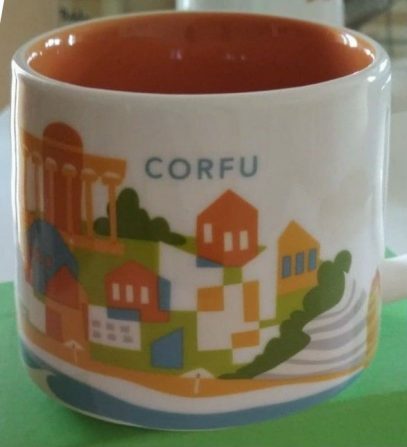 Even though people wanted a re-release of Corfu Icon, I knew it will be YAH. I guess everyone was wrong since Starbucks surprised us with You Are Here Mykonos mug instead. 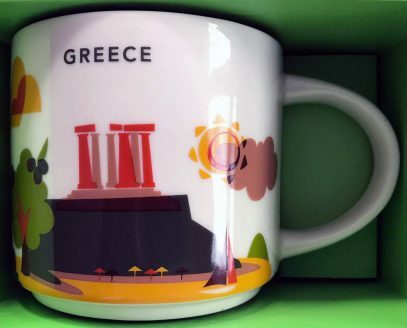 This Icon mug came from Greece. Dark Brown is used as its theme color. 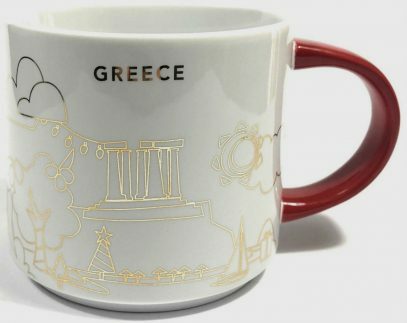 Sancutary of Athena Pronaia can be seen on the front of the mug and Santorini Skyline on the back. 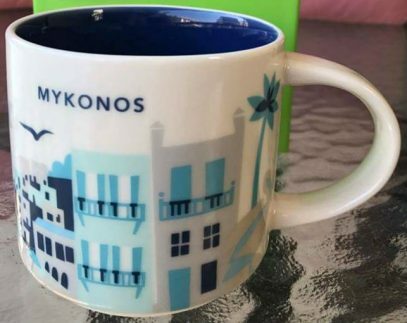 This Icon mug came from Mykonos, Greece. Light Blue is used as its theme color. Little Venice can be seen on the front of the mug and Windmills on the back. 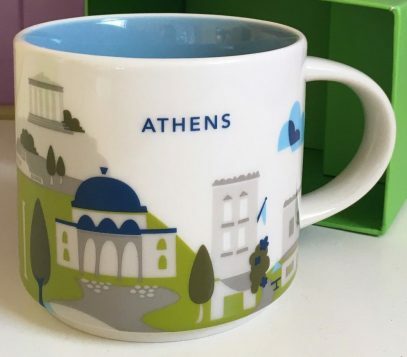 This Icon mug came from Athens, Greece. Blue is used as its theme color. 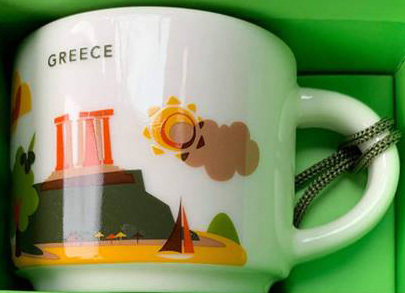 Parthenon can be seen on the front of the mug and Acropolis Skyline on the back.